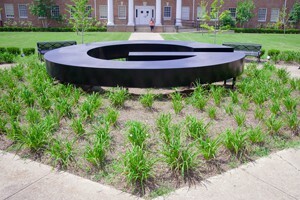 GRAMBLING, LA — June 12, 2018 ‑‑ Today, Grambling State University announced that the campus continues to see enrollment growth, with a 10 percent year-over-year jump in enrollment as of its Summer I 2018 certification date. The University’s certified enrollment report showed 1,527 students enrolled, up from 1,391 students at the close of certification the previous year. The jump follows the University reaching a 5-year enrollment high of 5,188 students for the Fall of 2018. The summer progress comes just weeks after the University launched a series of key partnerships with Adidas, the New Louisiana Angel Fund 2, and breaking ground on new construction with its intramural center expansion projects. One example of this forward movement is in the University’s Sponsored Programs office, which was recently awarded $2.2 million from the National Science Foundation (NSF) to grow the University’s science, technology, engineering and mathematics (STEM) programming and enrollments. In addition to the summer academic activity, the University’s campus is also home to more than 20 summer programs for youth, adults, and incoming students. These programs, which are coordinated by the Office of Continuing Education and Service-Learning, include popular academic sessions on robotics, student leadership, and technology. This year’s programs also feature popular GSU hosts Men’s Basketball Coach Donte Jackson, the Ben Jobe National Coach of the Year; big data expert, Dr. Yenumula Reddy; and GSU’s World Famed Tiger Marching Band. For more information on summer programs and activities, follow Grambling State University on Facebook, Twitter, Instagram, and LinkedIn. This entry was posted in academics, gramstory, registration, studentlife on June 11, 2018 by Jovan Hackley.